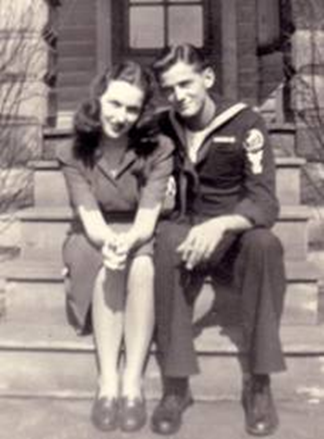 Cleveland OH, 1943 – Lee Kirkby and Bud Lucas. As a kid, we always called this Decoration Day and I remember my Mom going with her Mom to decorate the graves of those family members that were gone. This required many geraniums, brooms, and grass clippers. I would overhear stories and history that fascinated me. My Dad, a WWII vet, had a friend that would put flags on veterans’ graves which apparently started at one bar and ended at another with several in between each May 30. He thought that was the best way to decorate although the straightness of the flags was questionable near the end of the day. In 1968, four US holiday’s were moved to Monday to give us a long weekend to celebrate and start the summer season, and Memorial day was one to become the last Monday of May. Being a learner and a leader are great goals for all of us. By learning, we show our humanity as no one knows everything. By leading, we practice our humanity helping others achieve their memories. Remembering those that walked before us is a process of learning and recognizes their leadership. May your memories be touchstones to a great week. 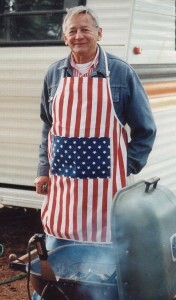 Bud Lucas on Memorial day 1991 cooking Up North.